By the time Paul Avgerinos graduated from the Peabody Conservatory of Music in 1980, he had already performed as a bassist with The Beaux Arts Trio, Baryshnikov, Isaac Stern, Jean Pierre Rampal, and many other world renowned classical artists. After graduation, Paul served as principal bass of several major symphony orchestras around the world, and also performed solo at festivals in Tanglewood, Aspen, Grand Teton, Taos, and Spoleto (Italy). Expanding into more popular genres, Avgerinos then toured with Charles Aznavour, Liza Minelli, and the jazz legend Buddy Rich. Eventually, however, Paul decied that he wanted to further his original composition skills and childhood passion for electronic music, so in 1984 he built Studio Unicorn?a comprehensive digital/analog recording studio. 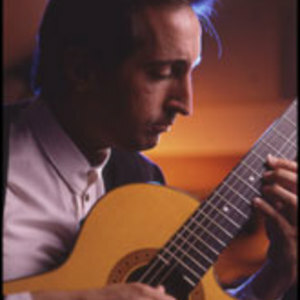 No less than eight solo CDs followed in the New Age genre, including Maya on the World Room label and Muse of the Round Sky on the Hearts of Space label. Muse was nominated for a Grammy and is played on more than 2,000 radio stations around the world in addition to syndicated shows such as Music from the Hearts of Space and John Diliberto's Echoes. Two thirty minute features with the latter are added to his credits along with his many other radio interviews. He has appeared on five sampler CDs and as a guest artist on albums by Joanie Madden, Faruk Tekbilek, Joaquin Lievano, Brian Keane and others. Paul records and produces many popular albums as well and has worked with artists as diverse as Run DMC, Richie Havens, and Jewel. Avgerinos always makes time for scoring and has worked on over fifty film, TV, and cable projects for HBO, PBS, and Lifetime, among others. Paul just received his second Grammy Nomination for his work on Peter Kater's Red Moon album , And has become a voting member of the Grammy Recording Academy. Keeping busy creating original music for a variety of interesting and rewarding projects is a way of life. Currently, he lives and works in his Studio Unicorn in Redding, Connecticut, where the deer pass by his studio windows and the hawks and eagles give inspiration from above.